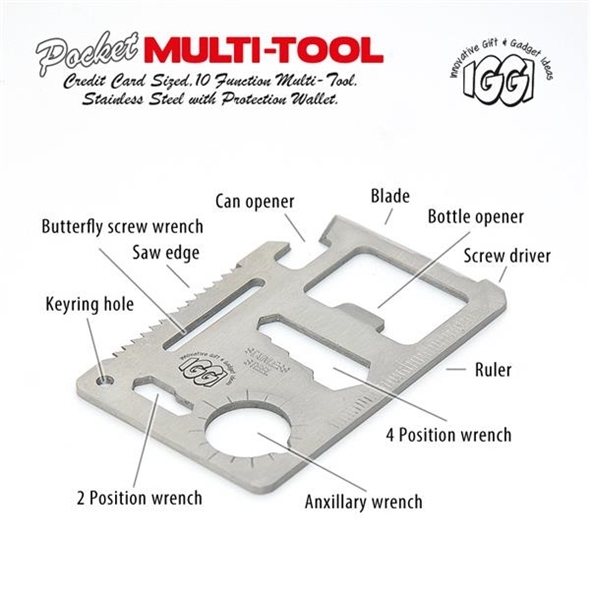 It's nine tools in one! 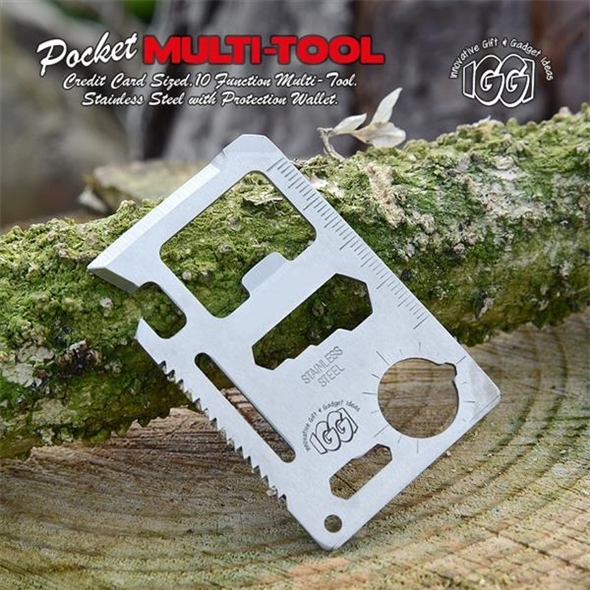 Perfect for camping trips, this credit card-shaped multi-tool will ensure that you're never without the essential equipment. 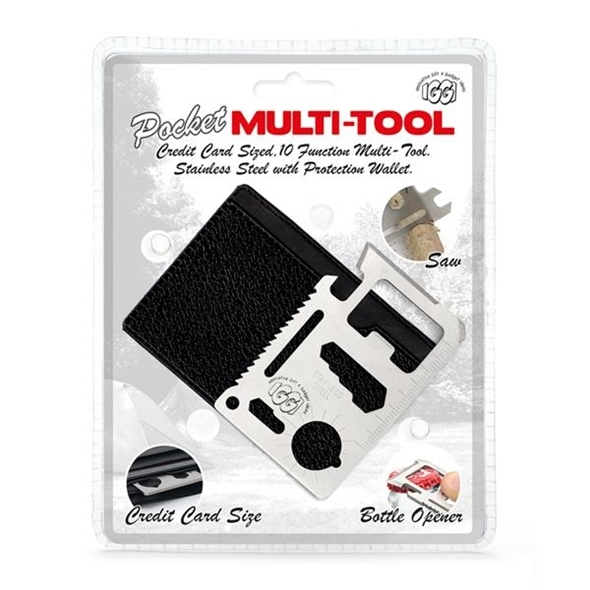 The stainless steel tool functions as a can opener, knife, screwdriver, ruler, bottle opener, spanner, saw blade, and all kinds of other things you always need but never have handy. 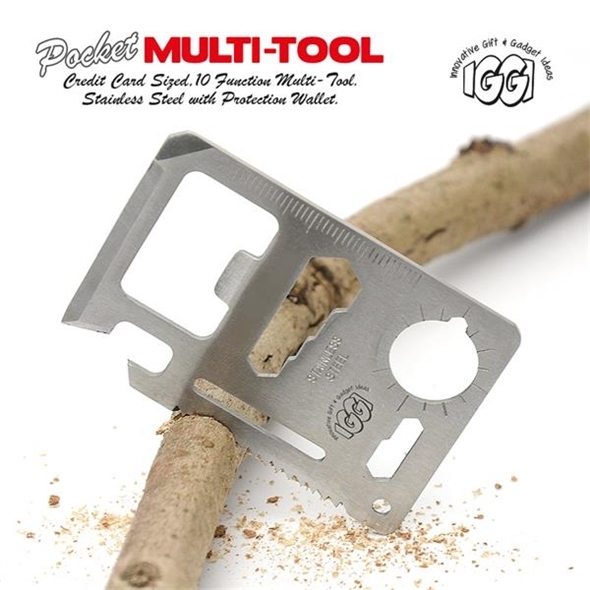 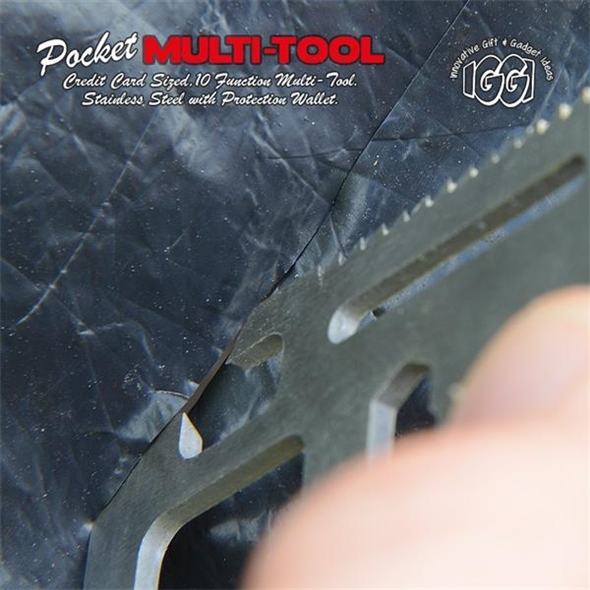 Whether you're out in the wilderness or doing some odd jobs around the house, the credit card multi-tool is the perfect pal for your pocket! 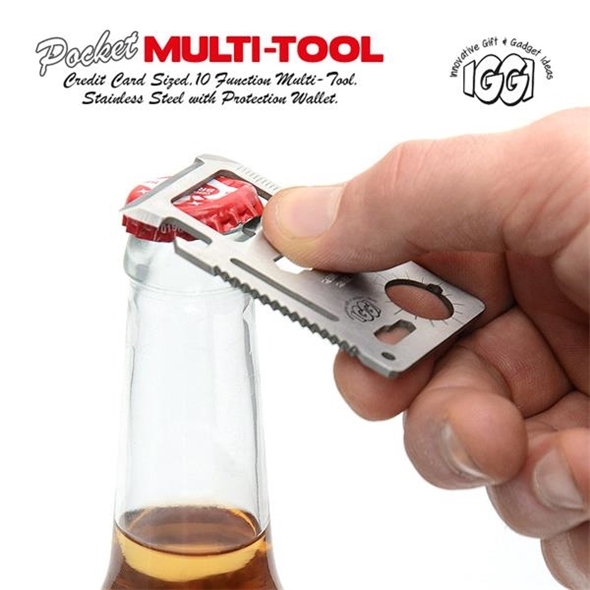 Includes a tin opener, screwdriver, saw blade, and more! 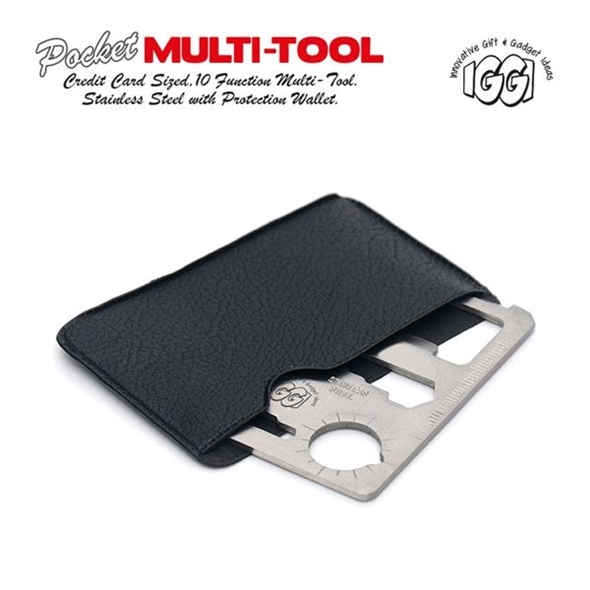 This stainless steel, credit card-sized multi tool is the ultimate thingamajig to have around the house. 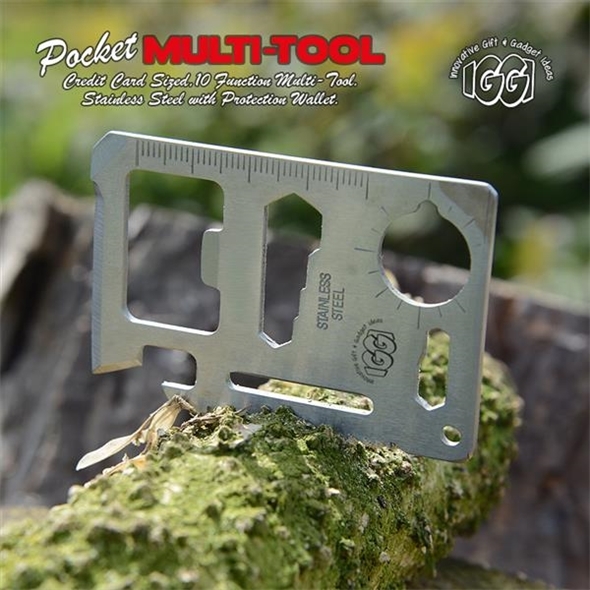 It's also useful for those back-to-nature camping trips; don't leave home without it!